Friendship Village of Columbus offers a wide range of retirement options and services including independent living, assisted living, memory and Alzheimer’s care an on-site health care center. Our residents enjoy a peaceful setting where they enjoy life, active growth and discovery programs. 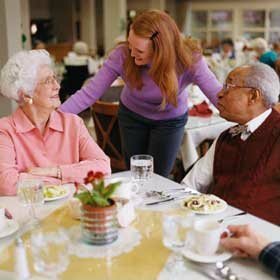 At Friendship Village, we are dedicated to providing stability and security to our residents while ensuring each resident is receiving an appropriate level of care. Very nice place, friendly people and great food!